John Bolling Garrett was the son of Alexander Garrett (1775-1860) of Charlottesville, VA and his second wife, Evelina (Bolling) Garrett (1790-1863). Alexander Garrett was County Clerk of Albemarle Co. and the first Bursar of the University of Virginia. Mrs. Garrett was the daughter of John Bolling of North Garden, VA, and granddaughter of President Thomas Jefferson’s sister, Mary (Jefferson) Bolling. 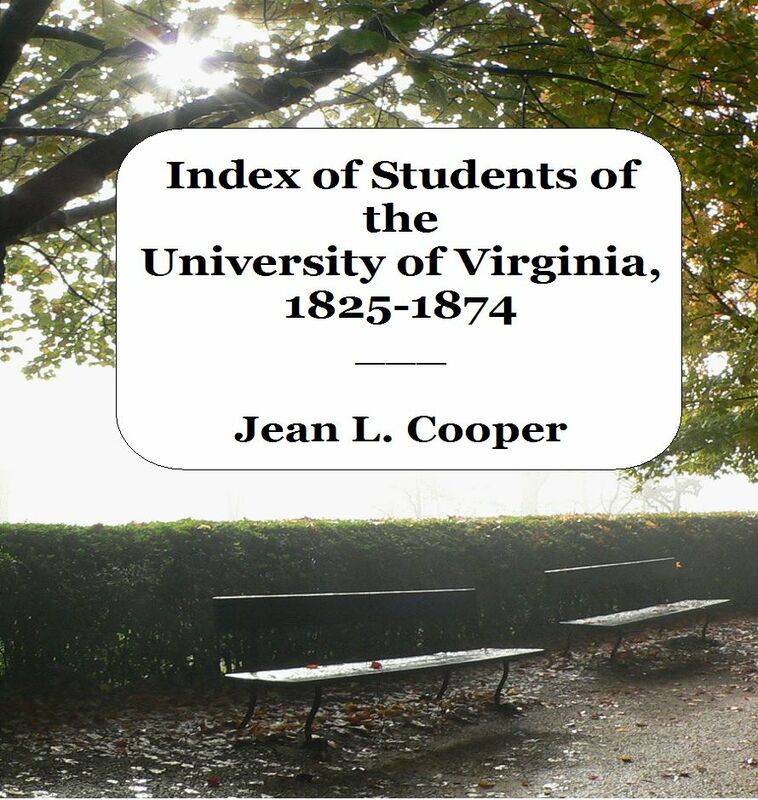 John B. Garrett attended the University of Virginia in sessions 1-2, 4, 6-8 (1825-1826, 1827-1828, 1829-1832). He was a physician by profession and lived at Cloverplains (now called Seven Oaks) in western Albemarle County, VA. Garrett married, first, Elizabeth Ann Walker (1811-1845), and second (in 1847), Ann “Nannie” Hartwell Harrison (1819-1892). John and Nannie had five children: Mary Randolph, Alexander, Evelina Bolling, Elizabeth Ashton, and George Walker Garrett. In 1860, Mrs. John B. Garrett (Nannie) helped found Emmanuel Episcopal Church in Greenwood, VA.
John Bolling Garrett is buried in the graveyard at Monticello, near Charlottesville, VA. Page, Richard Channing Moore. Genealogy of the Page family in Virginia. 2nd ed. New York, 1893. Accessed via books.google.com. Tombstone of John Bolling Garrett. Monticello Graveyard, near Charlottesville, VA. Findagrave.com (accessed 5/12/2011). This entry was posted in G and tagged albemarle county, garrett, session 1, session 2, session 4, session 6, session 7, session 8, Virginia. Bookmark the permalink.